Microencapsulation potential to immobilise homogeneous catalysts reported by Steve Ley’s team at Cambridge University. Key outcome of project backed by AstraZeneca, Avecia and Syngenta in partnership with the University. July 2004: Pd EnCat™ “faster, cleaner chemistry” wins CIA 2004 Innovation of The Year Award. July 2004: Avecia launches first QuadraPure™ precious metal scavenging resin to minimise metal loss and processing pollution and challenges associated with residual metal contamination. July 2004: Agreement for world-wide distribution of Pd EnCat™ by Sigma-Aldrich adds major distribution network to early success of customer trials. 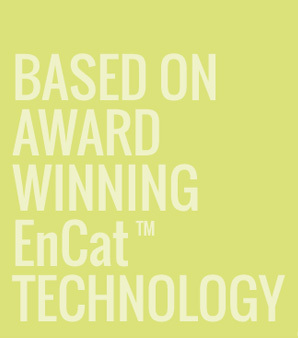 October 2004: Pd EnCat™ receives 2004 Innovation Award from Institute of Applied Catalysis (iAc) – recognising improved environmental impact and sustainability. June 2005: Following successful funding and spin-out from Avecia, Reaxa Limited commences trading. October 2005: Reaxa signs licensing agreement with Japan’s Hokko Chemical Industry Co. Ltd. for LaPCat™ - a new generation of palladium-containing perovskite (Pd-perovskite) catalysts. November 2005: Reaxa launches osmium tetroxide (OsO4) EnCat™ (Os EnCat™) as useful, safer oxidation catalyst. January 2006: Introduction of microwave-compatible EnCat™ products and cartridge format QuadraPure™ scavenging resins. September 2006: Silica-based QuadraSil™ scavenging beads added alongside polymer-based QuadraPure™ scavengers. November 2006: Platinum EnCat™ - a versatile hydrogenation catalyst – extends proven benefits of encapsulation technology. November 2007: Reaxa completes second-round financing with institutional investors YFM Private Equity (YFM), Enterprise Ventures (EV) and private investors via Acceleris plc. February 2008: Dr Barrie Thorpe (ex-AstraZeneca) named as Chairman of Reaxa Ltd., with John Nicholson of Acceleris joining the Board. May 2008: Ninth EnCat™ - Pd EnCat™ polyTPP30 – introduced as first “second generation” Reaxa products, optimised for use in flow as well as conventional batch pharma processes, and with improved leaching performance. June 2008: Reaxa announces technical breakthrough with tenth EnCat™ product range – Nickel EnCat™. Safety benefits complemented by added potential for re-use in multiple batches, driving down cost and lowering metal consumption and waste impact. QuadraPure™ and QuadraSil™ scavengers optimised for removal of Iridium – enabling wider adoption over more costly Rhodium. September 2008: Nickel EnCat™ enters market trials programme via beta test samples. January 2009: Plans for low-cost production in India announced at Informex 2009. August 2009: Reaxa attains accreditation to the quality management standard ISO 9001:2008, covering development and manufacture of supported catalysts and scavengers. November 2009: UK North West Development Agency (NWDA) gives Reaxa a second grant to further develop Ni EnCat™ and production processes to tonnes-scale prototype. July 2010: Reaxa metal scavenging business, which incorporates the QuadraPure™ and QuadraSil™ product ranges, sold to Johnson Matthey. September 2010: Successful large scale production trials of Ni EnCat™ at toll manufacturers based in India. January 2011: S Amit & Co, already a shareholder in Reaxa, acquires the business outright from Blackley Holdings. October 2011: Reaxa sets up application development lab near Mumbai, India with capabilities to carry our scale-up hydrogenation reactions. June 2012: Reaxa relocates its UK R&D labs from Manchester to Leeds Bioincubator facility. August 2012: Reaxa holds technical seminar in Hyderabad, India to promote EnCat™ range of products. The seminar is attended by representatives from major pharma and CMO’s. 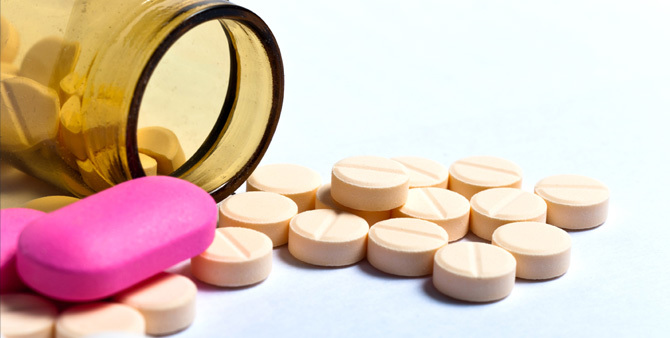 Dec- 2012: Reaxa becomes a member of the consortium that includes pharmaceutical companies, SMEs and Universities from EU to develop sustainable and greener manufacturing routes to pharmaceuticals. The project is funded by the IMI (innovative medicines initiative) to run initially for four years with Reaxa to provide the members with existing EnCatTM system and to develop new catalytic EnCatTM systems that provide greener and sustainable routes to making APIs. 2013-2014: Reaxa commences development of a new base metal EnCatTM system- Cobalt (Co) EnCatTM used for selective hydrogenation reactions used in flow as well as batch mode. 2015: Reaxa relocates it R&D lab and pilot facility to the BIOHUB at Alderley Park, Cheshire.